Orlando Neuro Physical Therapy | Restore Your Movement and Your Life! Get back to your pain-free life with specialized neurologic rehabilitation. Our proven treatment approach will allow you to regain your independence and improve functional movement. 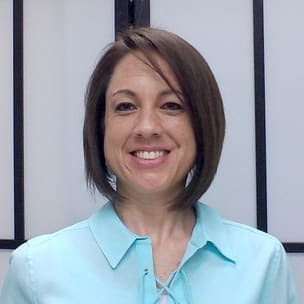 Dr. Tara Tobias is a board-certified neurologic physical therapist and an expert in neurologic rehabilitation. You deserve a specialist who understands neurologic injuries. Still not convinced? No need to worry, call today for a free consultation and let me explain the difference from the physical therapy clinic down the street. DIAGNOSED WITH A NEUROLOGICAL DISEASE? The aftermath of a stroke can be difficult and devastating in your life. Our proven rehabilitation approach helps you deal with this, putting you back in control of your body and regaining your independence. You’ll work one-on-one with our board-certified physical therapist without the confines of traditional healthcare. This means you’ll have the full attention of our doctor for your entire session, getting you back to your pain-free life quicker and easier. The fear of falling or losing your balance shouldn’t keep you from doing the activities you love. Our dedicated, one-on-one sessions will help you find your footing and get you comfortable again. You don’t have to give up quality time spent with loved ones or miss out on activities that you enjoy. Let us help you feel great on your feet again. My daughter suffered a severe hemorrhagic stroke in February, 2016. She received 6 weeks of inpatient therapy, as well as months of outpatient therapy. She, unfortunately, suffered several falls and broken bones, and also developed severe spasticity of the left foot/ankle. I found Tara on the website around December of 2017 and called her about my daughter. She evaluated her and immediately began a vigorous treatment plan. We, at this time, were becoming quite discouraged and looking for hope. Now, just 6 months latter, the progress my daughter has made is beyond anything we could have imagined at the time we met Tara. Every session Tara works extremely hard, is focused and uses a great bedside manner to elicit results from her patient. She shares the joys of her patient and their family when improvements are made, and she shows great pride in her skills. Tara is the best physical therapist we have had the privilege of working with. When we began with Tara, my daughter was confined to a wheelchair, she now is able to get that left foot flat and walk with assistance. Tara also helped us secure a new brace that actually works. Also, my daughter loves going to her therapy. sessions! Send a message to our specialist to ask questions and see if our program is right for you! 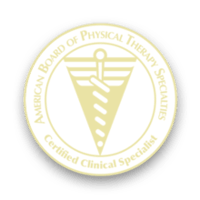 The decision to devote my career to neurologic physical therapy came when I met my first patient at an internship in 2002 at Spaulding Rehabilitation in Boston. Read more about Dr. Tara Tobias. By appointment, contact us to book now.